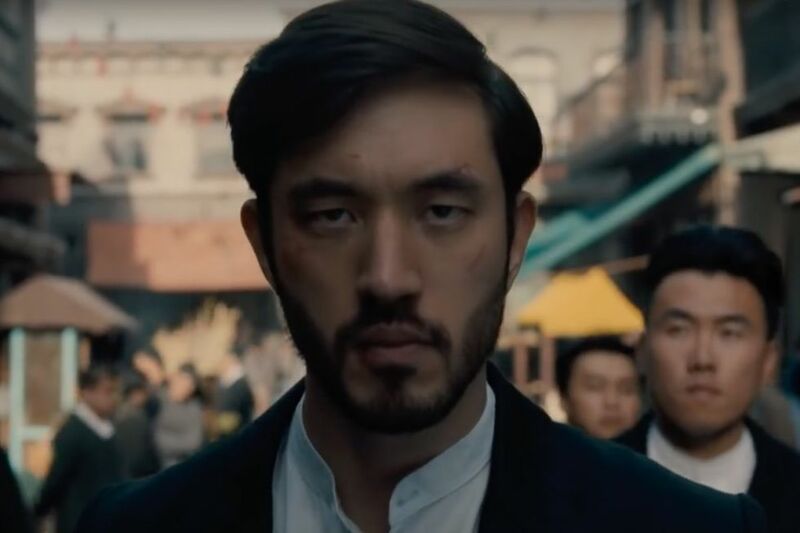 Andrew Koji plays Ah Sahm, a martial arts prodigy who immigrates to 19th-century San Francisco from China and gets caught up in the Tong Wars. In 1971, Hollywood lore has it that the legendary Bruce Lee pitched an idea for a TV series about a martial artist in the Old West. Skittish studio heads passed on the project (and on Lee as its star), opting to make Kung Fu with David Carradine instead. Now Lee's vision is getting a second life, as Cinemax prepares to debut its new period drama, Warrior, based on the martial arts master's own writings. When he was first approached about adapting the material for a TV series, Justin Lin (who directed Fast and the Furious 6 and Star Trek Beyond) was intrigued, since he had long admired Lee's work and his breaking down of racial barriers for Asians in Hollywood. But it was the source material that clinched the deal for Lin: Lee's own writings, provided by his daughter Shannon, who gave her blessing to the project. The writings were "rich with Lee's unique philosophies on life, and through a point of view rarely depicted on screen," Lin told The Hollywood Reporter. Warrior follows a by now familiar outline. A young Chinese martial arts prodigy, Ah Sahm (Andrew Koji), arrives in 19th-century San Francisco. Why he left China is a mystery, but he soon finds himself embroiled with the Tong Wars, a period of particularly violent disputes between rival Chinese gangs, called tongs, in the Chinatowns of several American cities. (There were as many as 30 tongs in San Francisco at the height of the Tong Wars; it took the great earthquake of 1906 to end the violence, since the tongs never recovered from the damage to their businesses.) Ah Sahm also must contend with rising anti-immigrant sentiment against the Chinese and perhaps a forbidden interracial romance.